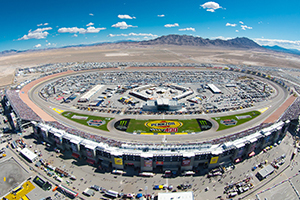 Occupying more than 1,000 acres in northern Las Vegas, the Las Vegas Motor Speedway is one of the top car racing facilities in North America. This venue includes the Superspeedway, which hosts major NASCAR events. Additionally, the Las Vegas Motor Speedway has other tracks that are designed for drag, off-road, exotic and other types of racing. Click to book your Dream Racing Driving Experience. The Superspeedway has an asphalt track that spans 1.5 miles in a traditional oval layout. Up to 80,000 spectators can watch the exciting action at this major racing venue. Throughout the year, some of the best NASCAR racers compete in the Monster Energy Cup Series at the Las Vegas Motor Speedway. As their titles imply, the Pennzoil 400 and South Point 400 require the participants to race for 400 miles. The Xfinity Series and Camping World Truck Series are some other NASCAR events that are held at this famous speedway. Click to book your Dream Racing Driving Experience. Having an oval configuration with a track length of .375 miles, the Bullring hosts youth racing competitions throughout the year. This small and intimate venue gives you the chance to cheer on young drivers who might soon join the NASCAR circuit. Some of the Bullring car divisions include NASCAR Super Stocks, NASCAR Bombers and USLCI Legend Cars. Covered in clay, the Dirt Track is another oval-shaped venue that spans exactly 0.5 miles. Having a rough terrain with elevations, bumps and various surfaces, the Off-Road Course is set up for ATVs and other modified vehicles that are optimized for tough conditions. Having a straight 0.25 paved track, the Drag Strip hosts drag racing events. Additional facilities at the Las Vegas Motor Speedway include the Inside Road Course, Outside Road Course and Go-Kart Track. If you'd like to see the world's premium sports cars in action, head to the Exotics Racing Course. Ferraris, Lamborghinis, Aston Martins, Audis and other sleek supercars roll on this 1.2-mile track. Located in the middle of the Las Vegas Motor Speedway, the Neon Garage is the ideal place to spot NASCAR drivers and their teams on race days. Live music, food kiosks and other fan-friendly amenities are set up in this venue that provides the ultimate fan experience. If you'd like to take a thrilling ride on the speedway, just sign up for the NASCAR Racing Experience. This package lets you take a passenger's seat or get behind the wheel of a professional NASCAR car that can accelerate up to 600 MPH. The Las Vegas Motor Speedway is located in a quiet and isolated part of northern Las Vegas, NV. Exit 54 of Interstate 15 leads directly to this major racing complex. This busy highway runs through the Las Vegas Strip and other communities in the Las Vegas Valley. Public transportation to the speedway is limited, so it's best to arrive by car. Depending on your vehicle type, tickets and other privileges, you'll have to park in a designated lot. Featuring parking for motorcycles, passenger cars, the Blue Lot is located just north of Speedway Boulevard. The Brown Lot is nested in between the speedway and the Bullring. There's plenty of parking for RVs in lots that are situated just off North Las Vegas Boulevard. Additional RV parking is available at the Burn Out Lot near the Dirt Track. All of the major parking areas at the Las Vegas Motor Speedway are served by courtesy shuttles. For example, the Blue Line stops at various points on the eastern and southern perimeter of the speedway. 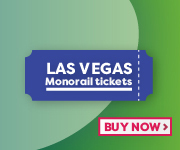 Click here to visit Las Vegas Motor Speedway official website.